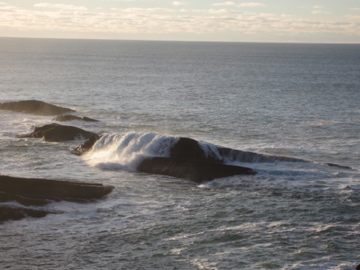 The crystal cairn, here at Old Nisthouse in Orkney, is currently programmed to help all in distress across the globe, with particular reference to the people and lands of the Ukraine and Syria, those who have loved ones missing on flight MH370 and the residents of Oso USA, and their families and friends. Please simply spend a few moments at any time of day or night visualising the cairn, and sending positive thoughts and prayers to those in need, to empower this healing focus. 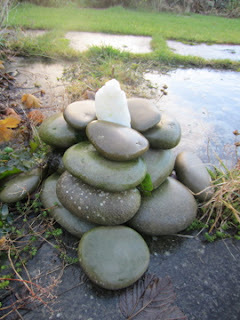 The cairn will also be the focus for next weeks Crystal Earth Meditation. 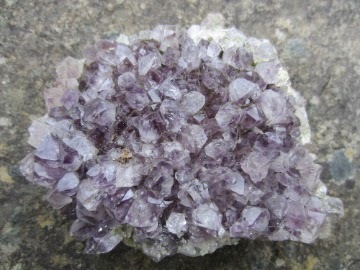 I recently found this beautiful amethyst bed whilst beginning the annual spring clean of the garden here at Old Nisthouse, Orkney. 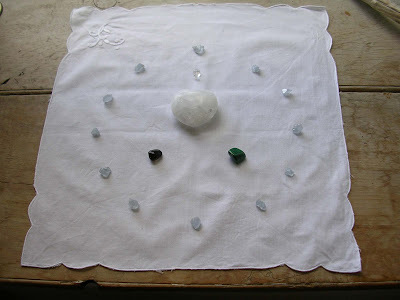 I had placed the crystal outside at the beginning of the winter to see if it had done its job and would disappear or if it simply needed recharging as it had been in use a long time and was looking very tired and jaded. 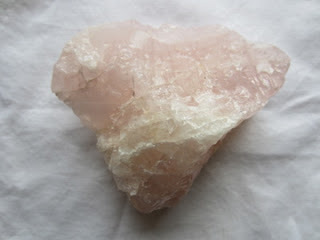 I found it where I had left it but looking sparkly and revitalised and is back in use in the house. 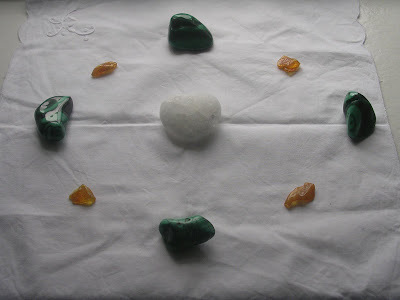 In celebration of World Water day and the sixth anniversary of our focused crystal planting work in connection to global waters, there will be a Pure Source Set (see previous posting) opened for 24hrs from 6am on the 22nd March 2014. 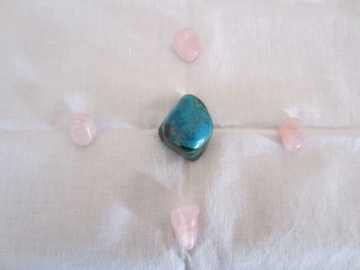 Please feel free to connect to these crystals in positive thought, meditation or prayer with a focus to healing the waters of the Earth. 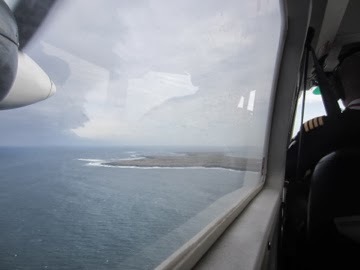 Travelled to North Ronaldsay, Orkney's most northerly isle, for work on Tuesday. Turned into a beautiful day culminating in this fantastic sunset just before we left. 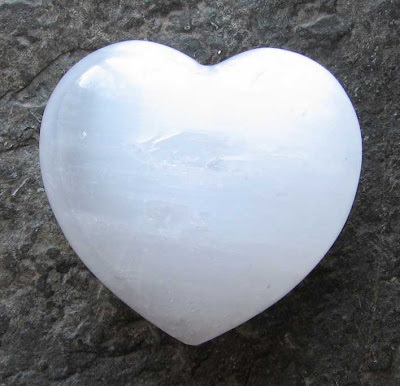 The Crystal Earthworks is delighted to celebrate tomorrow, 8th March 2014, the 6th anniversary of the launch of the 'Pure Grace Heart'. 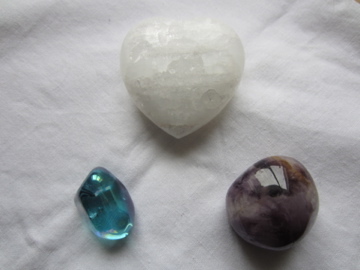 In celebration, there will be a special meditation through 12pm GMT with a Pure Grace Heart as a focus. Hope you can join us! 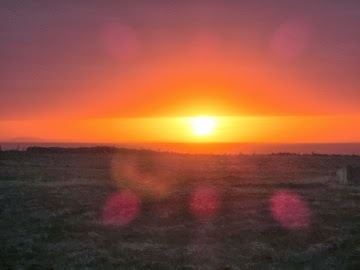 The crystal cairn, here at Old Nisthouse in Orkney, is currently programmed to help all in distress across the globe, with particular reference to the people and lands of the Ukraine and Syria. Please simply spend a few moments at any time of day or night visualising the cairn, and sending positive thoughts and prayers to those in need, to empower this healing focus.